The Promotion is open to all and existing RCBC Bankard Principal and Supplementary cardholders whose accounts are active and current and in good credit standing. The promo is valid from January 15 to December 31, 2019. The Promotion is non-transferable and non-cumulative, cannot be exchange for cash or other products and cannot be used in conjunction with any other discount, promotions, discounted items and fixed price items, unless otherwise stated. Qualified cardholders are entitled of up to 15% OFF on any Kids Company PH regular priced product when they purchase via www. 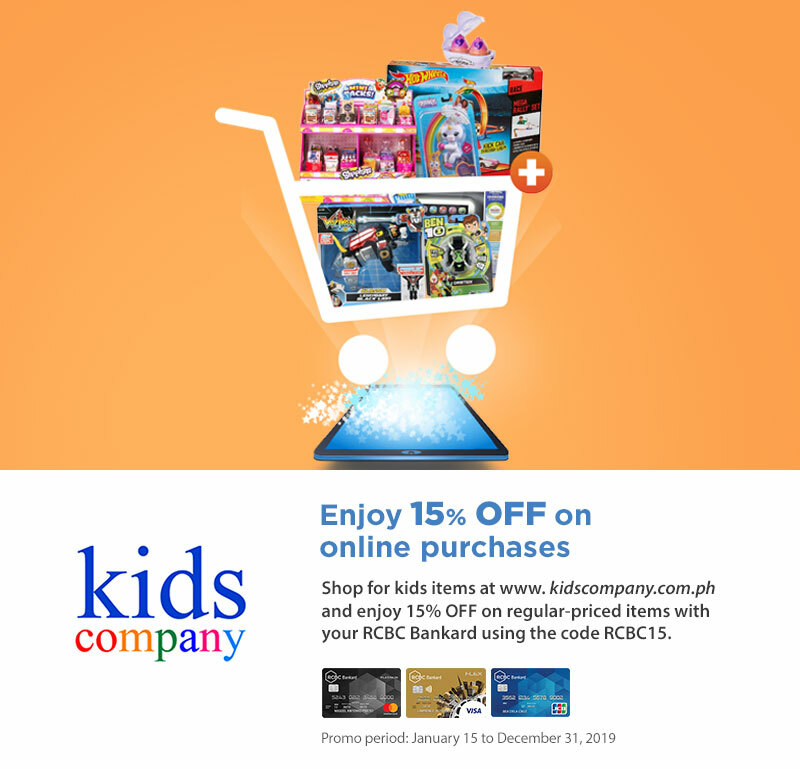 kidscompany.com.ph using their RCBC Bankard credit card. Discount may be used multiple times. Purchases without a promo code applied cannot be refunded. The list of products can be viewed at the Kids Company PH website at www. kidscompany.com.ph. Verify order and click “Continue” to go back to product catalogue or click “Go to cart page” to proceed on the checkout page. 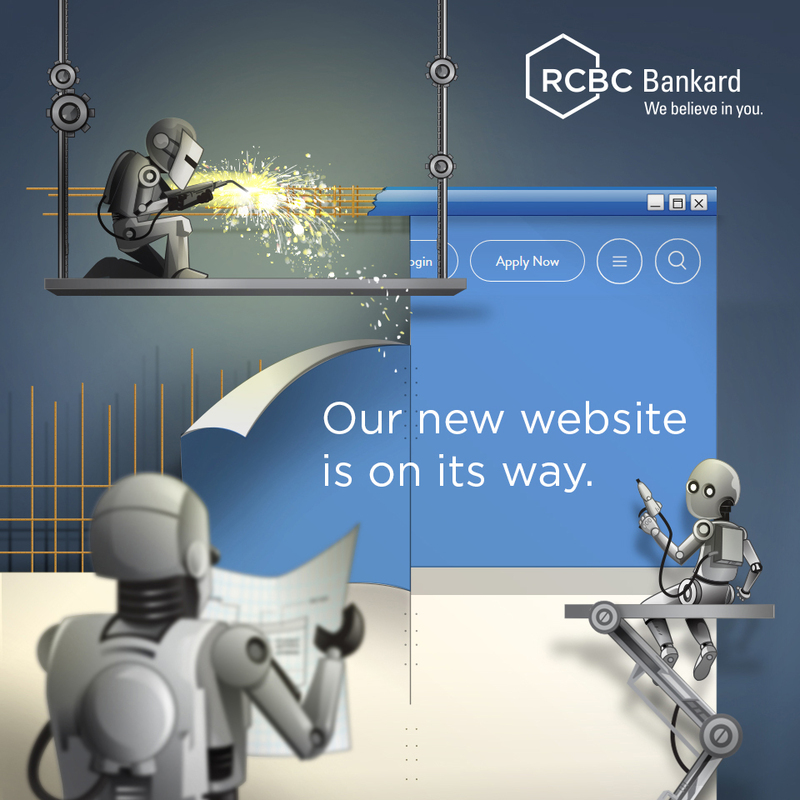 Use your RCBC Bankard credit card to pay and input the details. 10. Promo is not valid in conjunction with existing promotional offers of RCBC Bankard & Merchant Partner.